Real leather doesn’t have to set you back a pretty penny. 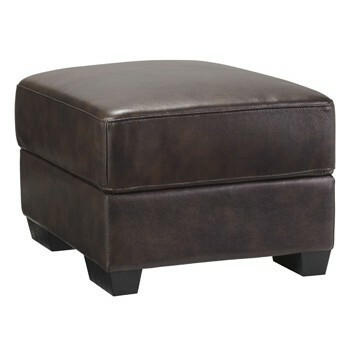 Rest assured, this chicly styled ottoman entices with thick cushioning wrapped in real leather for your pleasure. Full of character and tonal interest, this ottoman’s walnut-tone upholstery is a richly rustic choice.